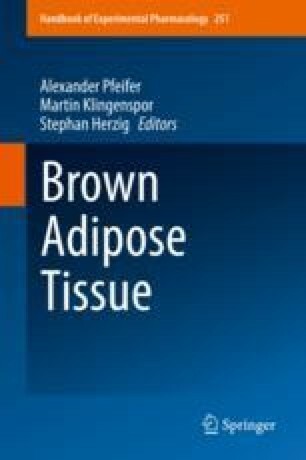 The role of brown adipose tissue (BAT) in non-shivering thermogenesis is well established in animals. BAT is activated following cold exposure, resulting in non-shivering thermogenesis, to ensure a constant body temperature. In mitochondria of brown adipocytes, glucose and fatty acids are used as substrate for uncoupling resulting in heat production. Activated BAT functions as a sink for glucose and fatty acids and this hallmark has designated BAT a target in the fight against metabolic diseases like type 2 diabetes mellitus and obesity. In order to make valid claims regarding BAT activity in humans, BAT activity needs to be quantified. The combination of positron emission tomography (PET) and computer tomography (CT) analysis is currently the most frequently used imaging technique to determine BAT activity in humans. Here, we will discuss the history of PET/CT and radioisotopes used to determine BAT activity in humans. Moreover, we will assess how PET/CT is used to determine BAT activity following cold and exercise.